When you discover insects in your house you want them gone, and fast. And if the intruder looks especially creepy you want them out even faster. In those moments, as you frantically spray insecticide all over your home, you don’t think about the dangers of pesticides. Catch you in one of your more rational moments, and you’ll confess that you are interested in a pest control system that’s less damaging to the environment and involves less pesticides in your home.The good news is that you don’t have to settle for a house whose corners are soaked with chemicals to keep insects at bay. Integrated Pest Management solutions have been developed to determine how to best stop pests in your home, and keep them from thinking they can return. 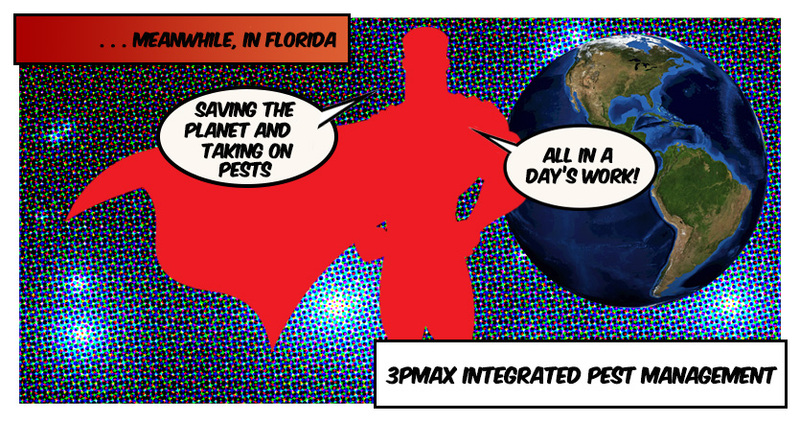 Now, PestMax has developed our own integrated pest management system that we call 3PMAX. What is 3PMAX Integrated Pest Management? Integrated pest management (IPM), or integrated pest control (IPC) takes a broad approach to pest control treatments. 3PMAX IPM reduces the use of pesticides by employing a variety of strategic methods aimed to reduce and eliminate pest breeding areas around your structure. We target pests in the home, as well as those that are making their way towards you. Your family and pets are safe – Integrated Pest Management greatly reduces pesticide exposure, keeping your loved ones safe. Reduces environmental impact – 3PMAX reduces pesticide runoff that can cause great damage to the Southwest Florida ecosystem. Beneficial insects are saved – PestMax can identify and take measures to avoid destroying the ecology of beneficial insects. Why doesn’t everyone use Integrated Pest Management? Integrated Pest Management is a comprehensive and environmentally friendly pest control method, but it also requires more time to smartly and successfully eliminate your pest problem. Many local pest control companies will not commit to the extra training and certification required to provide integrated pest control. Our experience has proven that IPM is successful, and our commitment to providing pest control service that does the least to harm the environment is what our customers expect. 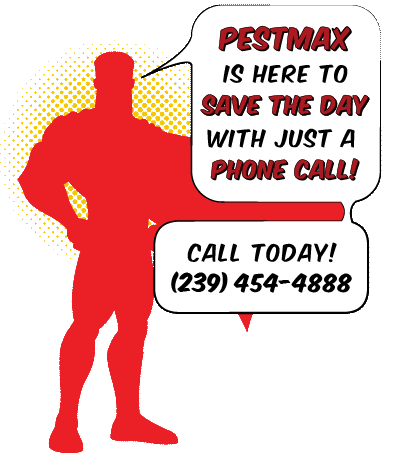 Do I have to wait until I see insects to begin the PestMax Integrated Pest Management System? No, in fact we recommend that you begin IPM before an insect infestation gets out of hand. The integrated pest management system does involve more time than your average pest control companies spray and go away policy. If you have any questions about how a 3PMAX Integrated Pest Management System can keep your home insect free without causing unneeded harm to the environment, feel free to give us a call.